He might be cheesy and remind us of 90s era Food Network, but Emeril Lagasse does a lot of things well. This apple coffee cake might be one of his best. It also could have been the slight changes I accidentally made to the recipe, but more likely, it’s because Emeril knows decadence better than we do. A deeply misguided attempt to make a mostly unattractive piece of cake look at least a fraction as good as it tastes. If you just want to make this amazing cake according to the expert guidelines provided by the Food Network and Emeril, stop here, click above, and bake it. If you’d rather see how I can turn a simple cake baking effort into a story, read on. We usually make apple pie at Thanksgiving, and it’s hit or miss. I can bake a mean apple pie but only when I’m not distracted by making other things. Also, I end up eating the whole thing by myself as everyone else likes their pumpkin pies and pumpkin rolls and all other things pumpkin. I, on the other hand, am convinced the pumpkin was once the lump of coal and onion of November. If you were a jerk around Thanksgiving, you were forced to eat pumpkin instead of all the delicious foods everyone else was enjoying. 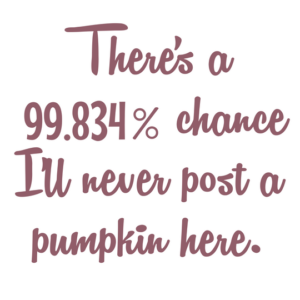 In other words, there’s a 99.834% chance I’ll never post a pumpkin here. I wanted to honor the apple, a top-five food in my world, rather than force feed myself an entire apple pie. We also needed something sweet for our Thanksgiving brunch so when I ran into this cake, it seemed perfect. Besides, ever since my former roommate (and sometimes celebrity guest chef here) gave me a Williams-Sonoma gift card and I found this very basic but very awesome stand mixer, I’ve developed a love affair with things that need mixing. 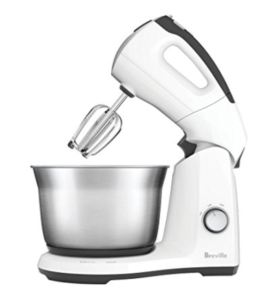 The Breville Handy Stand Mixer I got from Williams-Sonoma that is no longer available from Williams-Sonoma. Luckily, I found it for you on Amazon. Click to buy one. Since it was my first time making this cake, I opted for following the directions to the letter. Then I forgot to put the vanilla extract in the cake batter. Yeah, I was focused on adding extra apples to the mix (skins on!!!) and realized as I was pouring it into the pan I’d forgotten to add vanilla. Here’s the deal. I was having a moment because I don’t like artificial vanilla extract, someone used my last vanilla bean, and all we had was this Trader Joe’s bourbon vanilla extract stuff I’d never seen before. It seems the fit I chose to pitch about vanilla (in my mind) somehow kept me from using any vanilla at all. 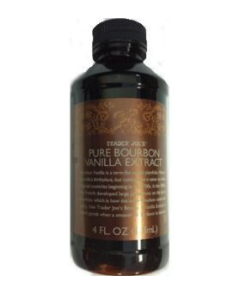 Trader Joe’s bourbon vanilla extract, with somehow sparked a fascinating debate about its flavor online. TJ’s people are loyal. Click for the conversation. So I soldiered on, put the cake in the oven with its delicious crumble topping, and set my mind to the glaze. It’s a very simple glaze: brown sugar, vanilla extract, and water. There’s that damned vanilla again! This time, I was certain I couldn’t make a proper glaze without the extract so I made peace with the mysterious bourbon vanilla concoction (this was before I looked online at reviews). First, it smelled very strong. It was like inhaling all four years of undergrad, most of my media career, and a good percentage of my bad decisions in one breath. There’s far more of a bourbon smell than a vanilla one. After a moment, this actually made me excited. I considered scrapping the Emeril glaze and making this one instead with actual bourbon, but I talked myself out of it and went back to my philosophy of staying fairly loyal to a recipe the first time around. So I mixed up the glaze according to the recipe but with the bourbon vanilla extract and poured it atop the finished cake (which, by the way, smelled amazing). The end result was almost perfect. The smell was nothing short of captivating, so the cake didn’t make it until the next day when it was supposed to be served. Besides, the recipe says to serve it warm, and who am I to disobey? My mom tossed it in the fridge after it cooled, and I was slightly worried about how it might come out the next day. No need. It was actually better cold. The glaze and crumble both formed a crunch that went very well with the soft, moist (can we find a better word, please?) 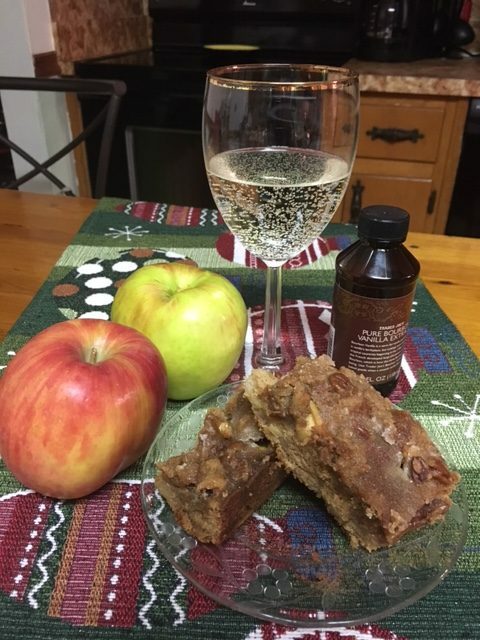 cake and the bite of the apples. No one even missed the missing vanilla in the batter. The bourbon flavor ended up being a really wonderful complement to the apple, brown sugar, and vanilla (ha!) flavors. It didn’t last the weekend, even with all the other stuff, so by the time I decided to take a picture of it, we were down to the two sad end pieces you see in the poorly staged photo above. What kind of pleasant surprises have come from your baking mistakes?